We are a leading Wholesale Distributor of marine gasoline spin on series filters, marine parfit products, tyre valve cap, racor filters and marine filter 800 series recyclers from Pune, India. We offer a precision designed range of Marine Gasoline Spin-on Series filters, which is manufactured for high performance applications. these filters enhance the performance of the engine better than ever with clean, water-free fuel. Coating: For superior corrosion resistance, these filters are coated with a durable electro statically applied powder coating. 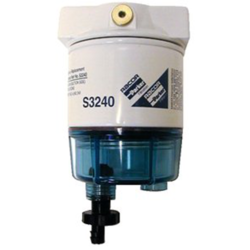 Simple to replace, these spin-on filter comes assembled with reusable clear plastic or metal contaminant collection bowls. Self-venting drain, or metal plug, for removing unwanted muck and water. These filters features a high capacity Aquabloc®II filter element that removes sediment down to 10 micron and 99% of water. a. Water Separator Elements remove water and contaminants and are the most popular filter elements.b. Silicone Treated Elements remove particle contaminants down to one micron and can be used upstream, before a fuel filter/water separator to extend filter life.c. Water Absorber Elements absorb water and filter out contaminants from high flow fuel streams. These elements stop flow when too much water is absorbed. 2. Identify maximum system flow rate needed. a. FBO-10-MA assemblies flow 25 to 53 gpm depending on element type and fuel.b. FBO-14-MA assemblies flow 30 to 75 gpm depending on element type and fuel. 3. Note these filter assemblies units do not come with an element installed. The right element for the application must be ordered separately. Once you choose your product, the correct filter element will be listed along with the assembly part number for ordering. • ABS Marine Type Approved Water In Fuel Probe: RK23191 (two wires) or RK23191-01 (Deutch DT04-3P connector.) Requires external amplifier. Requires a (part number 73249) bushing and replaces the installed sight glass. See Product Support tab for more information. 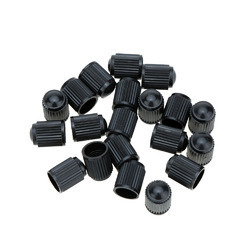 Keeping in mind the various requirements of the customers, we are involved in offering best quality of Tyre Valve Cap. This Tyre Valve Cap is offered by us in various sizes and dimensions. Tyre Valve Cap is extensively used to protect the valve core in the inside of the valve - If brake dust builds up in the valve. We are committed for the time frame delivery at our client’s doors. Our products are easiky available in the market. Matching to the huge market demands, we are involved in offering best quality of Racor Filters. 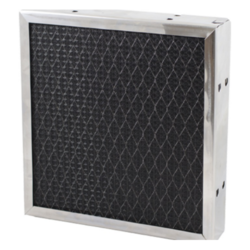 These Racor Filters are appreciated for their hassle free performance and high durability. The offered Racor Filters are extensively used in generators, pressure washers, etc. Our products are available in the market in huge range. Our organization is committed for the time frame delivery at any part of the country. Our company is among the most sought after offering Marine Filter 800 Series Recyclers to the clients. 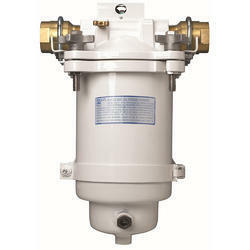 Marine Filter 800 Series Recyclers are manufactured under the guidance of skilled professional by using premium grade material and latest techniques. These products are praised by clients for owning remarkable characteristics. Offered range is applauded and cherished in the mark to precious design and long life by the esteemed clients. Quality check: These products are well tested by the quality controllers on different stages before the delivery. Packaging: Offered range is dispatched in quality assured packaging material. Looking for Filter Series ?